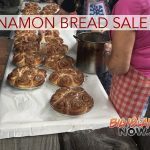 The Salvation Army will be handing out approximately 5,000 Thanksgiving holiday meals through annual meal events at locations statewide from Hanapepe to Honoka‘a, including the 48th annual Thanksgiving Meal at Blaisdell Center Exhibition Hall in Honolulu for approximately 2,000 guests. Thanks to the previously announced donation from Hawai‘i-born superstar Bruno Mars, an additional 24,000 individuals across the state will receive Thanksgiving holiday meals via a voucher program through The Salvation Army’s Corps in Hawai‘i. Bruno Mars is not attending any of the Thanksgiving meal functions listed below. Sign up at The Salvation Army Kona Corps or at Jackie Rey’s Ohana Grill. Delivery of plate lunches for elderly and shut ins are also available. 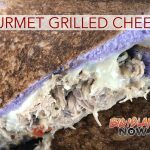 Call (808) 326-2330 to request a meal to be delivered. Each year, The Salvation Army Honoka‘a Corps delivers Thanksgiving meals to those in need in North Hawaii Island with the help of local community partners and volunteers. To receive a meal this Thanksgiving, please contact The Salvation Army Honoka‘a Corps at (808) 333-1248.